Sugar, Sugar. Why cavefish develop symptoms of diabetes but are not sick. The journey to this paper began almost exactly seven years ago, though at the time I was not aware of it. On March 16th of 2011, standing half a mile underground, covered in mud, sweat and bat feces; I saw for the first time in my life a cavefish in the wild. A year earlier, in January of 2010, I had begun my postdoctoral work in the laboratory of Cliff Tabin, at Harvard Medical School. I joined his team to work on the genetic and developmental basis of evolution. Quickly, I became fascinated with one species in his lab, the cavefish Astyanax mexicanus. These fish are particularly well suited for comparative studies, as extant river (‘surface’) forms of the same species can be used as a proxy for the ancestral state of the cave adapted cavefish. Both the surface fish and the cavefish can be raised under laboratory conditions. Importantly, they can be crossed to each other to form fertile hybrids which allows for genetic studies. Additionally, several of the cavefish populations evolved independently from each other, which provides the interesting opportunity to study replicates in evolution. While I had worked with these fish for more than one year at Harvard, I had only seen them in a laboratory environment. I was therefore excited when I had the chance to attend the 2nd international cavefish meeting, a biennial conference series established by a growing cavefish community (make sure to check out www.cavefin.org for its latest edition in March 2019). 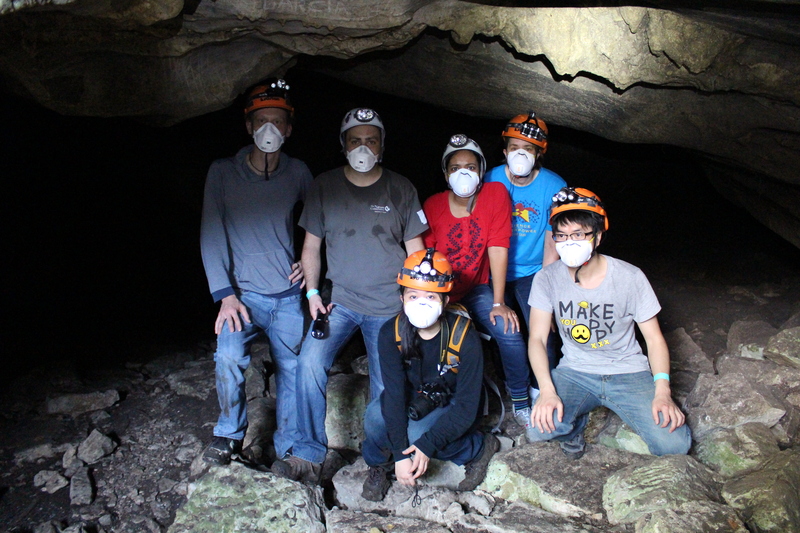 The aim of these meetings is to bring together scientists discussing the latest advances in cavefish research and to also visit a cave under the guidance of a professional spelunker. So here I was, after a long hike through dense jungle and sugar cane fields, standing in front of the Tinaja cave entrance in the Sierra de El Abra region in Mexico (Figure 1A-C). After another hour of crawling and climbing over slippery rocks covered with bat guano, we finally reached a small pool inhabited by cavefish (Figure 1D). The excitement of that moment cannot be described. In our hypoxic delusion, we all felt like a combination of Charles Darwin and David Attenborough. While I was trying to gather some useful data for my experiments, one thing struck me immediately. The fish in the caves were extraordinarily skinny, especially compared to our well-fed laboratory individuals (Figure 2). At that time though, I did not put too much emphasis on this observation. It was only when a new graduate student, Ariel Aspiras, joined the lab years later and was interested in the metabolism of cavefish that this observation crossed my mind once more. Ariel was put under my co-supervision and while we worked together on cavefish metabolism, I shared with him my previous observation that cavefish are much fatter in the laboratory. Very soon Ariel made stunning discoveries studying the metabolic adaptations in these fish. For example, he found that cavefish seem to have an almost insatiable appetite when food is available, while surface fish eat much less (1). This allows the cavefish to gain more fat than surface fish, which in turn makes them extraordinarily starvation resistant (not feeding cavefish for several months is not a problem for the fish at all). From an ecological point of view, this behavior indeed makes sense. Caves are pitch dark and lack photosynthesis driven primary production. The only time that food comes into the caves is when the caves are flooded during the rainy season in summer. This also explained why the fish were so skinny when I saw them in the wild. It was no coincidence that we chose a day in March for our expedition. Spring is the height of the dry season, and as such the safest time to visit a cave without the fear of being trapped by a sudden flooding event. Ariel continued making exciting discoveries, but what he found next blew me away. With the help of a new postdoc in the lab, Misty Riddle, we found that the cavefish display elevated blood sugar levels, are glucose intolerant and show severe insulin resistance - phenotypes that in humans would require treatment against diabetes. But the fish do not seem affected, they live long and healthy lives and do not even show the typical sugarcoating of blood proteins that is characteristic of human diabetics. When I sequenced the cavefish, I identified a mutation in the insulin receptor gene. Interestingly, the same mutation is also found in human diabetes patients, making it a plausible candidate for the phenotypes we observed in the fish. The last thing missing was a final proof that this particular mutation is indeed having the same role in cavefish as in humans, but without the negative effects associated. This is where my move as a principal investigator to the Stowers Institute, with its topnotch core facilities, became integral to the story. Using CRISPRCas9 gene editing technology, we were able to generate a zebrafish with the exact same cavefish mutation in the insulin receptor, which allowed us to functionally validate the causative nature of this mutation in vivo. Currently, my lab is interested in finding the underlying mechanisms that allow the cavefish to tolerate these diabetes-like phenotypes. I believe that cavefish (and other species that adapt to unique and extreme environments) are providing an excellent source to identify the solutions that evolution has invented to maximize survival under extreme environments, and as such to tolerate a large range of physiological phenotypic variation. Studying these strategies could, in principle, help us to battle human diseases in the long-term. And even if it may not be immediately applicable, it would be a shame not to at least try. Now, I take the members of my laboratory every year to another cave in Mexico to have them experience the fish in their natural environment. 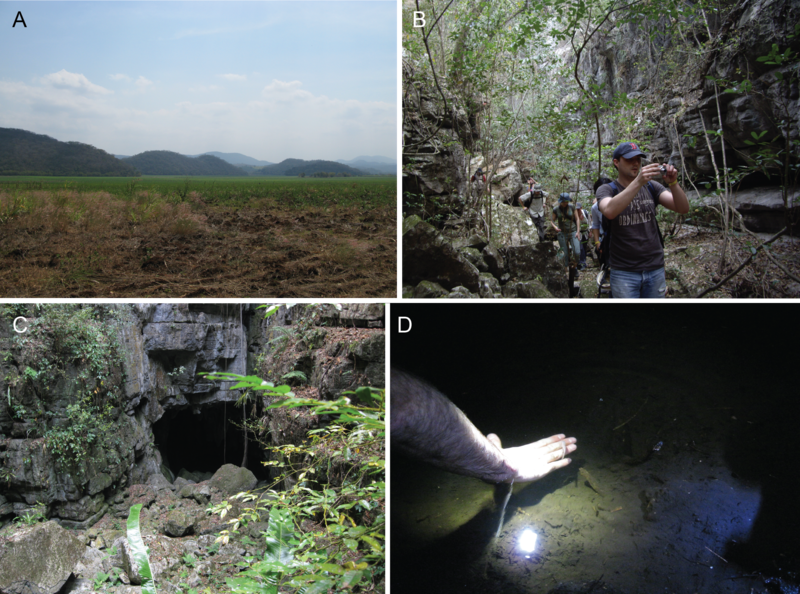 My hope is that these observations will instill the same appreciation of the extreme environment that my first visit of a cave environment had on me, and that seven years from now they will be able to share their own exciting story (Figure 3). Figure 3: The Rohner Lab in the field. The Pachón cave in March of 2017. From left to right: Robert Peuß, Nicolas Rohner, Jenny Sung, Jaya Krishnan, Karin Zueckert-Gaudenz, Shaolei Xiong.